Soon I shall be sunning myself on holiday in Valencia and it has been a LONG time since I last went on holiday so I am really bloody excited. Today I thought I would share with you what I have in my little holiday handbag. Does anyone else have a little bag they only use for their holidays? Personally, I like to keep my holiday bags small because it stops me from shoving random crap into it. I bought this Zara bag a couple of years ago, it's super simple but had a metal chain which I prefer because it adds a bit of weight to the bag so you know you have it with you. I really love Zara for their bags and am currently eyeing up this crossbody bag, which is similar to my current holiday bag. 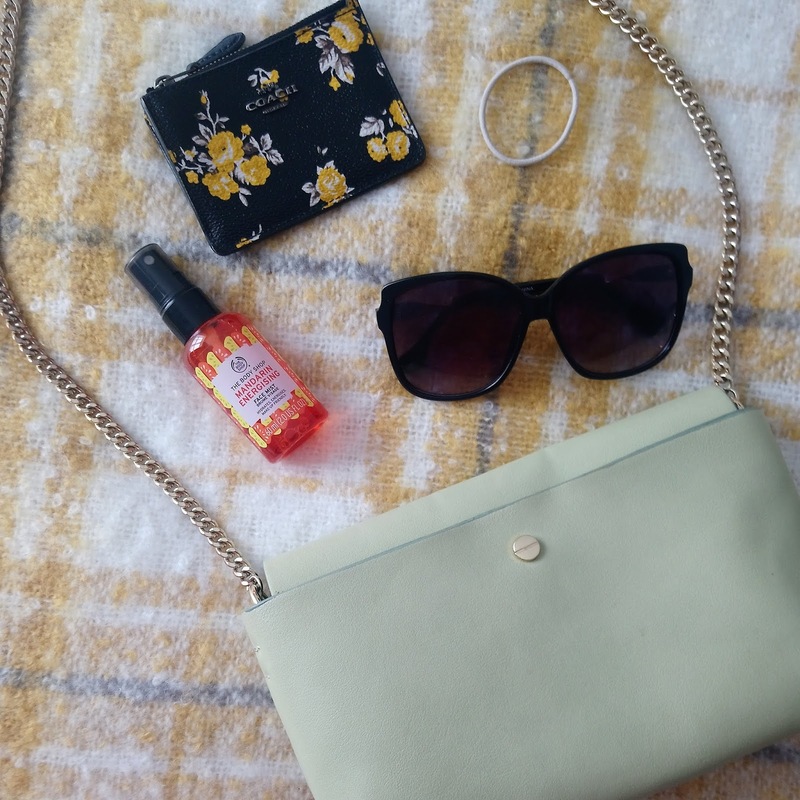 First things first, I always take a small little purse, typically speaking I never have big purses anyway but when I am on holiday I keep things really simple which is why I take a little coin pouch. I bought this Coach coin purse last year and I still absolutely love it but I have upgraded to a little McQueen number so it's now going to be my holiday purse, plus it's floral and super cute! I have also been trying out The Body Shop face mists mainly because they were near the till and it was a bit of an impulse buy. I picked up the Mandarin Energising Mist and it smells soooooo good, I also like that this product is make up friendly as I do tend to wear make up on holiday so this works perfect because it's a quick, light mist that immediately gives you a little boost. Sunnies!! 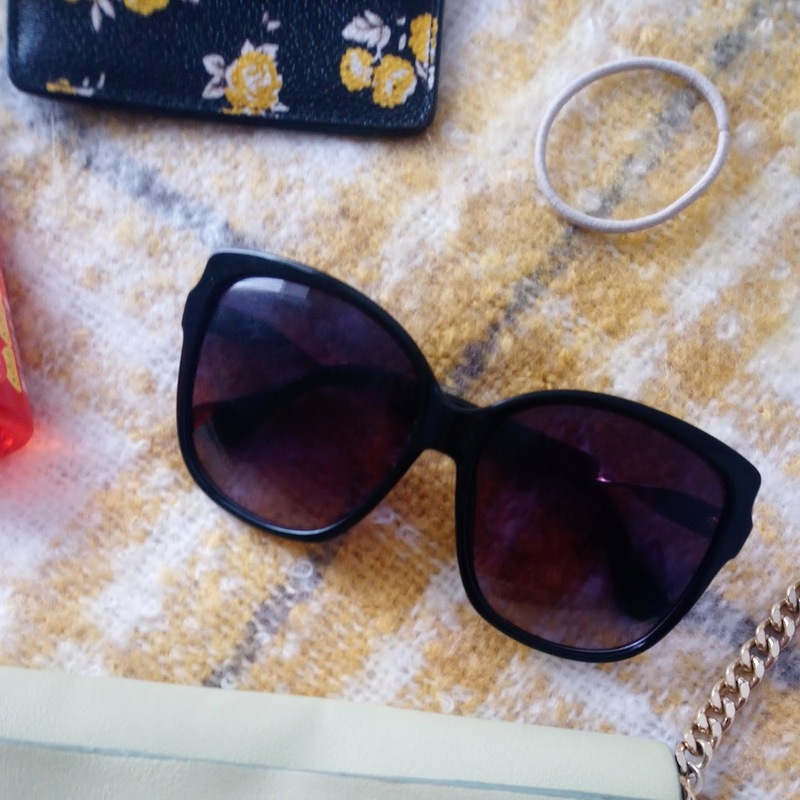 If my sunnies aren't on my face then they are in my bag, I know they could end up getting scratched but I can be quite forgetful so if I don't pop them in my bag then I will leave them behind. It took me quite a while to find some sunglasses I like, I still have my fave D&G ones but I recently picked up these Primark ones, mainly because they were massive, I still like really big glasses even thought they aren't considered as trendy anymore. Finally we have a hair brand, I mean, when I go to hot countries I tend to keep my hair up for most of the time for two reasons, first being because my neck gets all hot and gross and the other is because it stops my scalp from burning! I have very blonde fair hair, I have burn my parting before so anything that keeps my scalp covered is ideal. Things I didn't include in the photos are suncream, random receipts and my boyfs classes case. All of these things are in my bag, especially suncream I just hadn't bought it yet when i took the pictures. 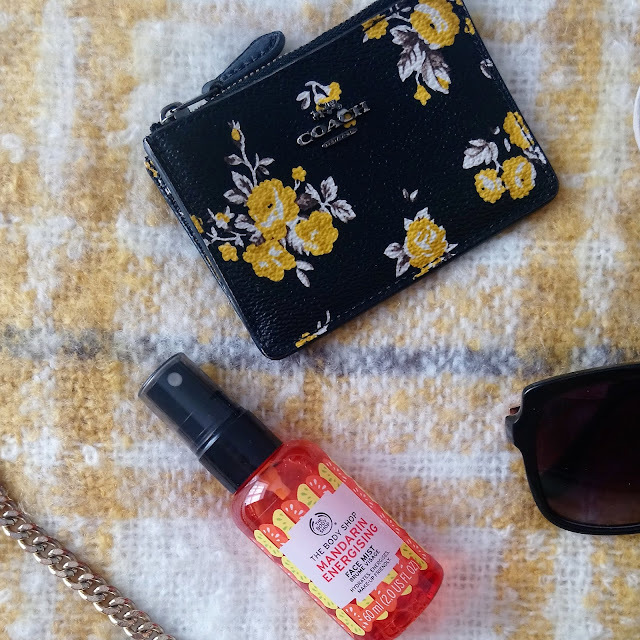 What do you keep in your holiday handbag?